The Procurement & Partnerships department, located in Oak Ridge, Tenn., provides support for all ORAU offices nationwide through quality and timely procurement of goods and services. ORAU is committed to maintaining the utmost integrity in fulfilling the diverse needs of the organization, while executing these purchases in an ethical and sustainable manner. If you are a vendor, supplier, subcontractor or other entity and want to conduct business with ORAU, the sections below should provide the information you need to get started. 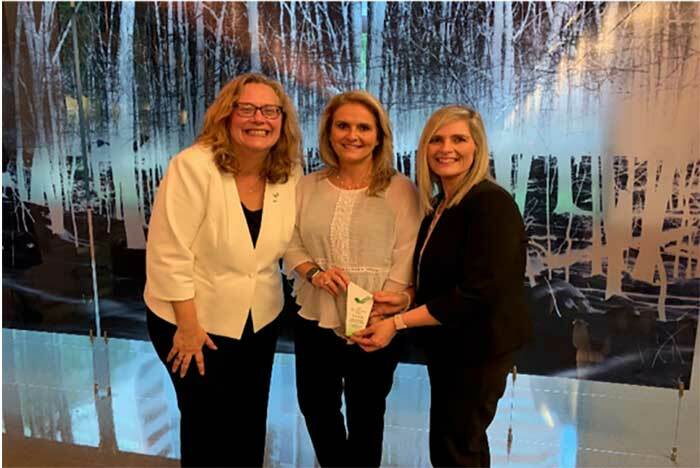 ORAU staff accepted a 2018 EPEAT Sustainable Purchaser Award by the Green Electronics Council for continued excellence in the procurement of green electronics. It was the first time ORAU was awarded four stars for procuring EPEAT-registered IT products that meet, and often exceed, the latest ENERGY STAR specifications, which means these products will consume less energy throughout their useful life. For information about ORAU’s Procurement Services, contact the ORAU Procurement Office at 865.576.3049 or p&p@orau.org.